Researchers have found that curcumin, in a specialized form may very well be the natural antidote to the blues. 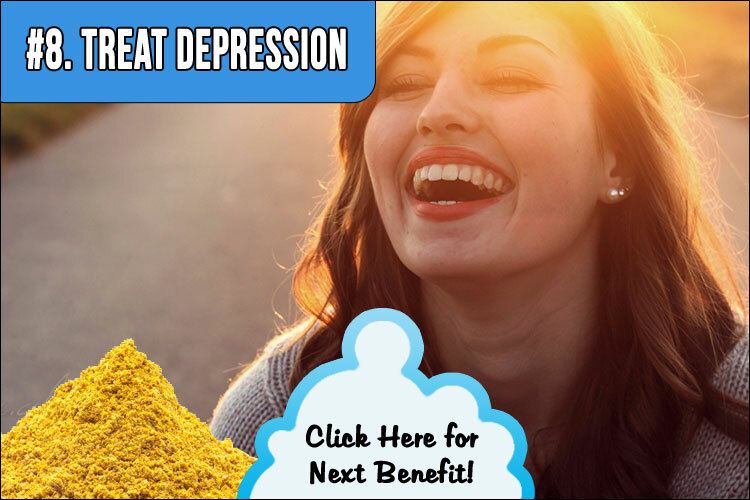 In fact, one study revealed that the effects of a particular complex of curcumin was just as effective as the standard anti-depressant drugs. It's believed that curcumin increases the neurotransmitters serotonin and dopamine, otherwise known as the "feel good" chemicals.